Everyone is freaking out about Star Wars, so of course the Intertubes are flooded with merchandise related to the movie. So here’s a nice, refreshing change in the form of a product tied to another pretty successful franchise: Star Trek. 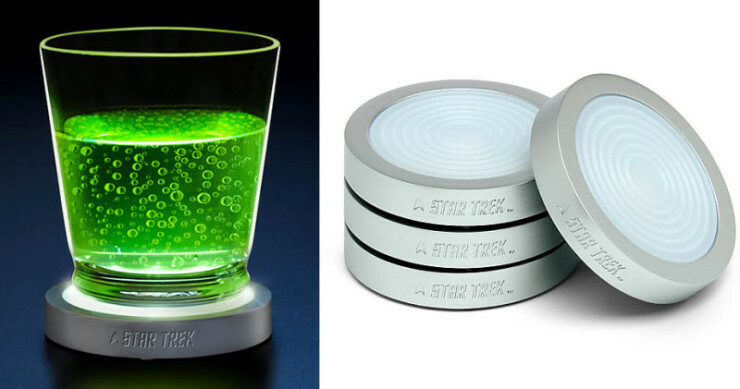 The Star Trek Transporter Pad LED Coasters won’t beam your drink to a faraway planet, but they will give it a bit of an ethereal glow. An LED in the base lights up when you put your drink down on them, and will give your libation a bit of a shine. That’s really all they do. Oh, and they play a “materialization/dematerialization” sound when you place your drink down or pick it up again. Please note: they won’t actually perform any type of teleportation, except for maybe $30 out of your bank account when you buy a set of 4. 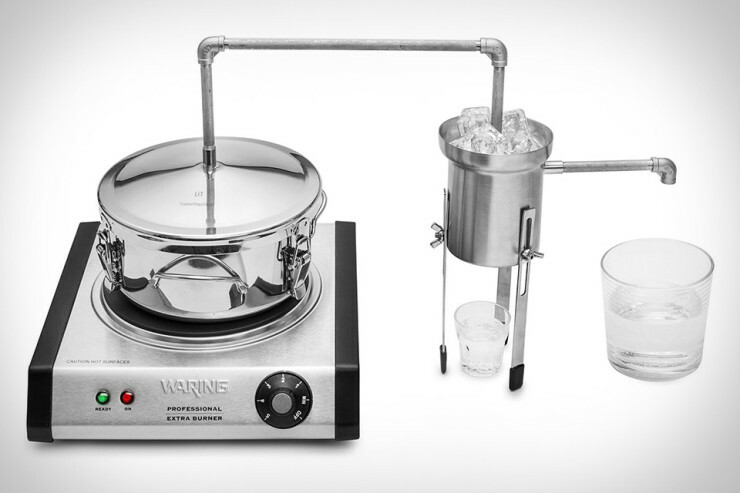 This still makes it extremely EASY and SAFE to make your own alcoholic spirits at home. Comes with very EASY to follow instructions and, unlike most stills, there is no running water required. Constructed entirely of Type 304 stainless steel (the type of stainless used in premium cookware), ensuring a SAFE final product, untainted by any leaching or reaction that can happen with other types of metals. The compact 1/2 gallon capacity is the perfect size to get you started with distillation-not too large to make it unwieldy for a kitchen, but big enough to yield 7 to 12 ounces of liquor. And it’s all backed by an Ironclad 90 Day Money Back Guarantee. Try it for 90 days and if unsatisfied for any reason, simply return it for a full refund including the cost of return shipping. PLEASE NOTE: The hot plate in the photos is not included–it is only shown to depict a setup. Now, we’re no experts in spirit making, but we’ve heard that if you do it wrong, you can make yourself blind or something. So make sure to follow the instructions to a T if you’re going to give this a go. It’s $250. By David Ponce on 11/10/15 • Leave a comment! Being 35, the days of playing beer pong are far behind, sadly. But I don’t remember it ever being so big of a ‘thing’ as it seems to be now. There are even tournaments for the questionable “sport” in places like Las Vegas (and plenty of others, I assume, I just don’t get out much)! So I shouldn’t be surprised to hear about the LED Beer Pong Table. It’s a pretty awesome looking table with an infinity mirror, and hundreds of LEDs that create an illusion of endless space beneath the surface. The lights change and flash to the music, and can be controlled with an IR remote. 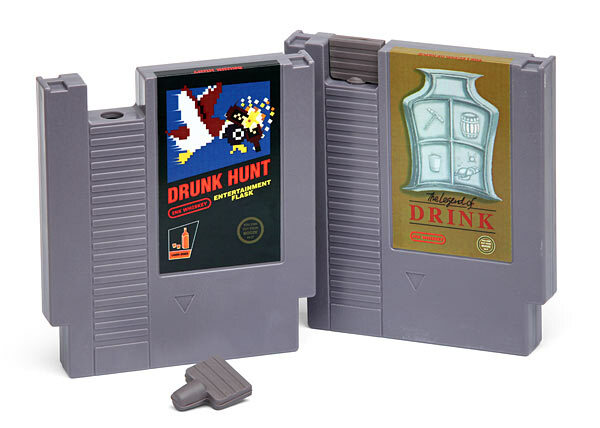 Seen in action, it seems to be just the thing that drunken frat kids would love. The full metal construction means it won’t easily break, and magnetic locks keep it closed when folded. It’s “regulation size”, so, you know, you can even do tournaments we suppose. By David Ponce on 10/29/15 • Leave a comment! Making your own beer at home can be fun, but it can also be challenging. It’s a multi-step process that requires a fair amount of know-how and equipment. 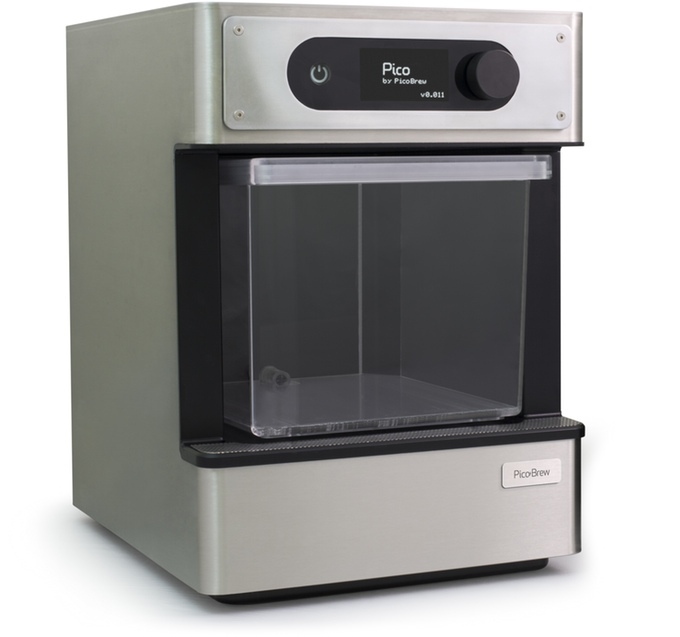 The Pico brewer however takes all the legwork out of the equation, and can make an entire 5 litre batch for you from start to finish. All you have to do is pick an ingredient pack, add water, and wait. The company has already signed up dozens of craft brewers, so you’ll be able to make your own Rogue, Dieu Du Ciel, or Flying Monkeys beer right at home. 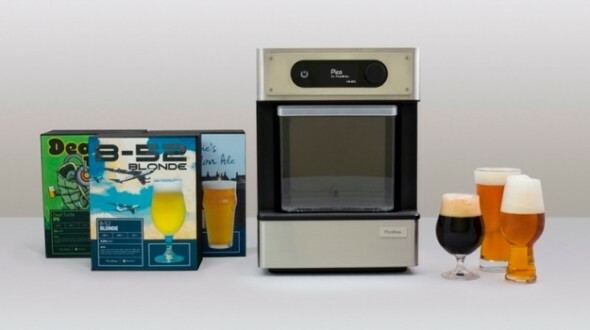 PicoBrew, the company behind the device, will also open up a marketplace where brewers will be able to sell their own PicoPaks, creating what they call “an app store for beer”. It’s a cool idea, and given the advantages, is totally worth the $599 asking price. Vodka is vodka is vodka; as far as we’re concerned, they’re all pretty much the same. Oh sure, some are smoother than others, but at the end of the day we rarely sit down and sip on a snifter of vodka; that pleasure is reserved for more aromatic spirits like Whiskey. So in order to stand out amongst the other commodity-like brands of vodka, you have to come up with some gimmick or other. 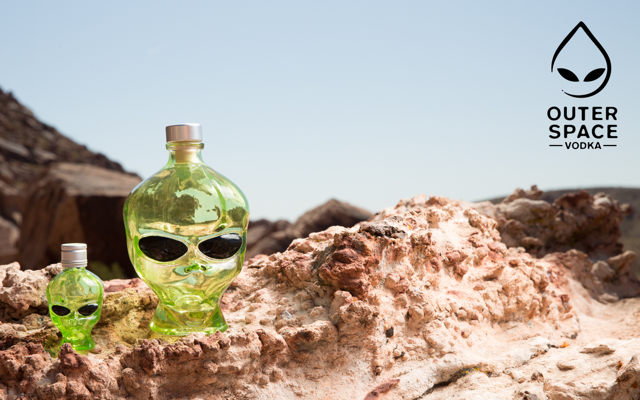 Outer Space Vodka’s idea is to filter the liquid through meteorites and to package it in a bottle that looks like what we seem to think aliens resemble. They make no claim of out-of-this-world taste (get it?) or any other drinking benefits beyond the knowledge that it’s been in contact with material that literally comes from space. It’s as good a gimmick as any, we suppose, and it’s $30. By David Ponce on 10/07/15 • Leave a comment! Champagne is classy. Drinking your alcohol shotgun style, not so much. So the Chambong is a wonderful hybrid between class and crass, letting you swig your fancy French bubbly through a thick glass straw on one end of this weird V-shaped drinking vessel. The other end is shaped like a traditional Champagne flute, so your guests will know you’re at least partly well mannered. 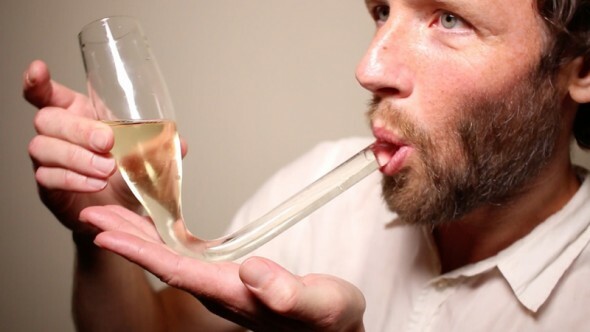 The Chambong lets you chug the wine, looks easy enough to fill and operate, but completely fails at being able to be put down on a table without issue. Like, do you just lay it on its side? Anyway, it’s $25, and less if you buy more. It’s being billed as a “collector’s item”, but, yeah… we wouldn’t pay too much attention to that. Carrying your favourite drink right next to your heart is the best way to confirm to yourself that no, you’re not an alcoholic, no sir, you’re just a drinking aficionado, an alcohol connoisseur, a fruit punch spiker, or any one of the many reasons one could have for carrying a flask. And if you’re going to go to the trouble of carrying a flask, wouldn’t you like to personalize it a little? 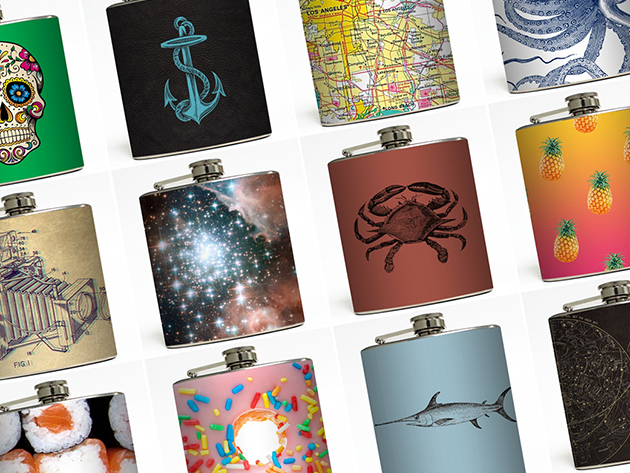 The Liquid Courage Flask lets you choose from hundreds of designs. No subject or theme goes untouched in this immense collection of hand designed, printed, and applied flasks. Find the perfect bachelor party gift, birthday present or the flask you’ve always been looking for but never believed existed, with this voucher for any flask on the site. Liquid Courage is brought to you by a husband-wife duo that delivers bespoke character and top vinyl-printed quality in every item they turn out. – Makes an awesome gifts for any occasion…or for yourself! Normally you’d have to pay a very reasonable $26 for this, but with today’s deal you’ll be asked an almost ridiculous $16.99. 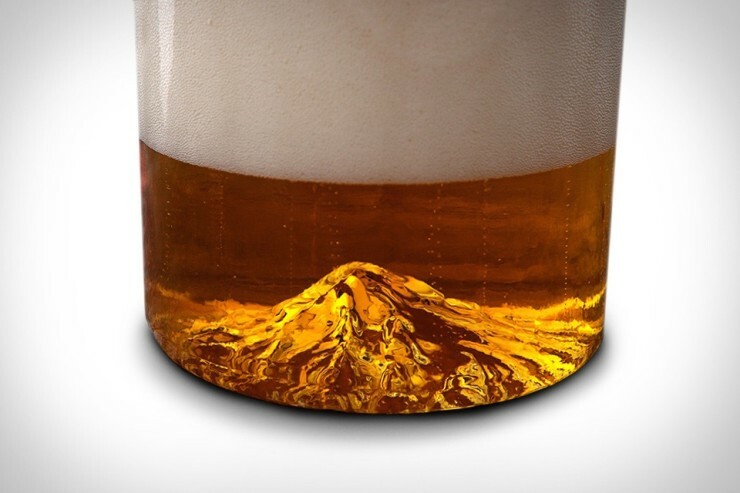 Look, if no one had told us that this pint glass has a perfect replica of Oregon’s highest peak, Mt. Hood, molded in its base, we probably would have never noticed. But now that we have, we think it’s kind of neat. Made by North Drinkware in Portland, Oregon (where else? ), this pint is an American-made, custom blown 16 oz. glass. Using United States Geological Survey (USGS) data (depicting ridges, canyons, and peak) a 3D model of Mt. Hood is integrated into the mold so your beer cascades around the mountain when you pour it into the glass. The Oregon Pint delivers a connection to the mountains that surround us, and the satisfying experience of drinking a local crafted beer out of a local crafted glass – all made here in Oregon. We suppose this will be particularly popular to Oregonians, though it has a certain artistic appeal beyond that state’s borders. We can’t imagine that it’s all Portlanders who ordered $160,000 worth of glasses (as of this writing), at $35 a pop. It’s on Kickstarter with the funding goal well in the rearview mirror, so head on over and pre-order your own if that’s your thing.